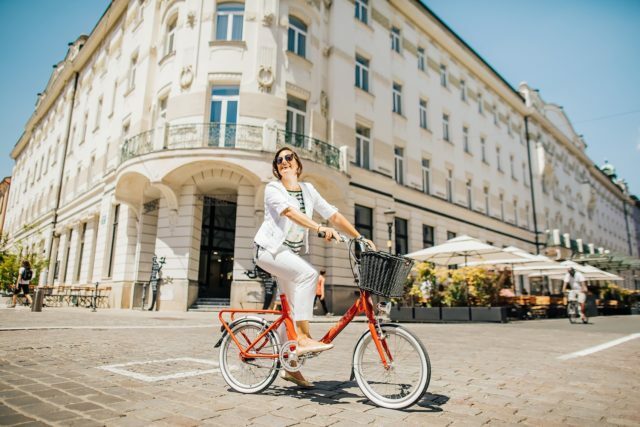 Union Hotels are comprised of 4 hotels in the very heart of Slovenia’s capital (Grand Hotel Union, Grand Hotel Union Business, Hotel Lev and Central Hotel) and had always been a lifestyle creating a hub. Build in Art Noveau style; Grand Hotel Union opened its doors in 1905. It was the first modern hotel in Ljubljana at the time, as well as the highest building. It was considered as one of the largest, most modern and sophisticated hotels in the region. It boasted 87 rooms, a stylish restaurant, a café, a large and magnificent concert hall (the present-day Union Hall), a bowling alley, several lounges for festive events, an elevator and central heating. The hotel was designed by renowned architect Josip Vancaš, who was well familiar with the contemporary architectural trends in Vienna. Even today the greatest pride of Grand Hotel Union remains the Union Hall. With this magnificent hall, the hotel gradually developed into the main cultural and social meeting place in Ljubljana. In 1917 the first public performance of the Slovenian national anthem (Zdravljica) took place in the Union Hall. The hall was later turned into, at the time the most modern city center cinema in Ljubljana, where the also first Slovenian movie “V kraljestvu Zlatoroga” (The Realm of Goldenhorn) was screened in the 1930s. The timeless Grand Union Café was a meeting spot for some of the most important Slovenian intellectuals, poets and painters, like Rihard Jakopič, Hinko Smrekar, Ivan Cankar, Ivan Tavčar, Oton Župančič and many more. In the 80’s the Grand Union Caffe even became the center of the alternative movement, as a quiet place where people were gathering, discussing and of course drinking coffee that was specially prepared in dzezva – a particular coffee pot. Even today, you can order this cup of traditional regional coffee, while you read one of the many magazines in many languages, in the Union Café. Afternoons are filled with Retro piano evenings, Swing nights, Stand-up comedy sessions, theatre evenings, concerts of world-famous music artists, etc. In over a century, all four Union Hotels hosted many prominent persons, including Orson Welles, Agatha Christie, Luciano Pavarotti, Riccardo Muti, Bill and Hilary Clinton, Dalai Lama and Queen Elizabeth II, Louis Armstrong, Ray Charles, Bob Dylan, to list a few. Union Hotels are keeping and embracing this cultural and intellectual lifestyle, with their rich musical, theatrical and art program, that is definitely co-creating a lifestyle for the locals as well as for the visitors.